This "Historically Speaking" column appeared in the Exeter News-Letter on Friday, January 17, 2014. Just off Front Street right near the railroad crossing lays tiny Kossuth Street. Not only small in length, the street is also one of the narrowest in town – just a bit more than a car width wide. Driving down Kossuth Street, especially in winter, takes a bit of pre-planning. Several times, over the years, proposals have been made to widen it, but it remains narrow and is generally used only by the residents who live there. Besides its odd size, the other curious feature of the street is its name. 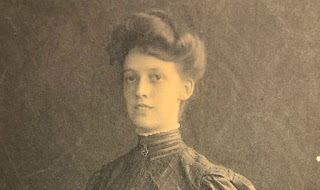 Our former Historical Society curator, Nancy Merrill, once commented, “When one stops to think about it, Kossuth Street does not sound like the average Yankee Street name.” She’s right about that; it’s not an English name. “Kossuth” is most definitely a Hungarian name, but how did it find itself in a New England town? Although we have no written statement to prove it, the street is most likely named for Hungarian nationalist, Lajos Kossuth. Kossuth rose to fame in 1848 when Hungarians rose up in opposition to their Austrian monarch, Franz Ferdinand. Although briefly successful, the revolution was crushed within a few years when Russia came to the aid of Austria. Hungarian independence was swallowed into the Austro-Hungarian Empire. Kossuth became the Governor-President during the brief period of revolutionary rule. Europe was rife with revolution in 1848 with uprisings in France, Italy, the German states, Denmark – few parts of the continent were untouched. Lajos Kossuth gained a reputation as a patriot for the democratic cause. After the fall of the revolutionary government, Kossuth escaped to Turkey and, in 1851, was allowed to leave Europe. Notwithstanding Captain Long’s experience, Kossuth was greeted as a hero in Britain and the United States. He’s one of those unusual figures who was more popular after his political career than he was during it. His speeches were well attended and widely reported in the press. He had a mastery of English which impressed Americans and his dedication to liberal democratic ideals (back then, these included self-rule, freedom of speech and economic independence) made him a very popular speaker. He was feted by Daniel Webster, among others. Following his tour of the United States, Kossuth made an equally triumphant tour of Britain. His later years were spent in exile in England and Italy, but he was never forgotten in the U.S. where there are a sprinkling of municipalities named ‘Kossuth’ (usually, like in Exeter mispronounced “KO-suth” or “Ko-SUTH”, in spite of the correct Hungarian pronunciation of “KO-shoot”). Kossuth County, Iowa was named, in 1852, for Lajos Kossuth. How did Exeter acquire its Kossuth Street? We’re not entirely sure what democratic fervor overtook the town, or indeed, exactly when the street acquired the name. But the 1845 map of Exeter has no street on that location and by the 1857 map; Kossuth Street appears in all its narrow glory. As this brief time span corresponds with the height of Lajos Kossuth’s popularity in the United States, there’s no reason to think the street was named for anyone else. It is notable that there was no Hungarian population living in Exeter, nor can any families of Hungarian origin be found residing on the street on the 1857 map. 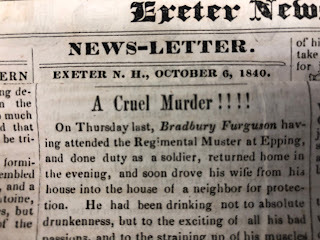 The Exeter News-Letter covered nearly every move of his United States tour, so perhaps the street acquired its name based purely on the man’s celebrity. At the end of a long naval career, Commodore John Long and his wife, Mary Gilman Long settled in Exeter in 1861. By all accounts, Long was an amiable man very unlike the bombastic revolutionary Lajos Kossuth. He and his wife lived quietly in a house on Court Street until his death in 1865. One can only wonder about his opinion of Kossuth Street – a mere quarter mile from his home – named for the man he threw off his ship in Marseilles in 1851. 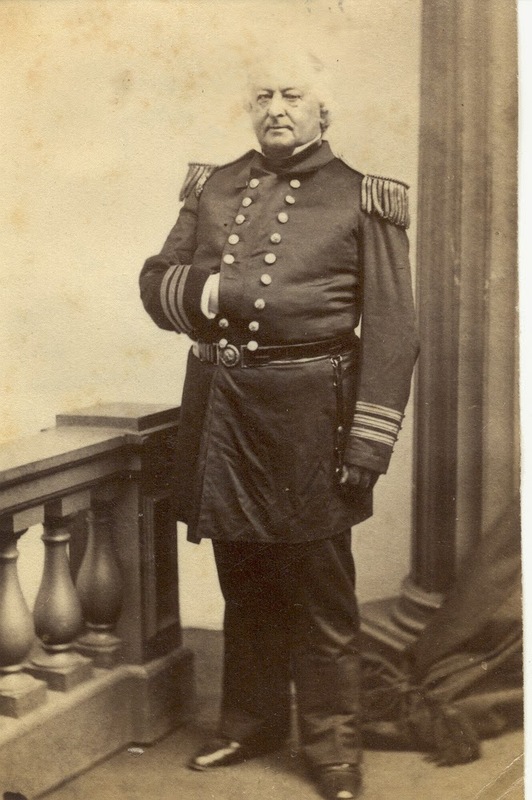 Photo: Commodore John Collins Long had a well-respected lengthy career in the U.S. Navy. In 1851 he was tasked with transporting Hungarian patriot Lajos Kossuth from Turkey to the United States for a speaking tour. Things did not go well and the outspoken Kossuth was put ashore at Marseilles.